Endowed with several natural wonders from salt flats to red rock formations, it’s easy to see why the state of Utah brings in millions of visitors every year. 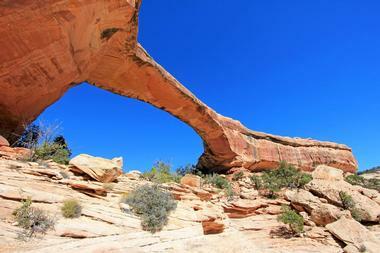 From columns of mountains to desert wetlands, Utah offers a very beautiful and diverse landscape for visitors to enjoy. With so much natural beauty and history on display here, there was a very real need to protect as much of this cherished land as possible. 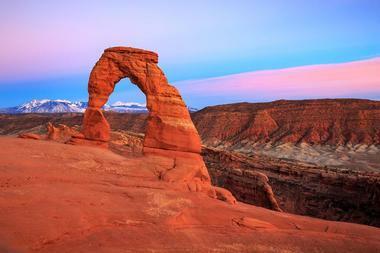 Utah is now home to many United States National Parks and Monuments, some of which include Arches National Park, Rainbow Bridge National Monument, and Zion National Park. Outdoor enthusiasts, history buffs, and nature lovers will appreciate this list of 18 National Parks in Utah. One of the most visited and beautiful national parks in the United States, Zion National Park is a marvelous nature preserve that is distinguished by its steep, red, canyon cliffs, in southwest Utah. 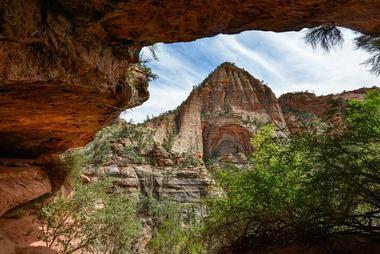 Zion Canyon Scenic Drive cuts through the main section of the park, leading to heavily-forested trails that run along the Virgin River. The Emerald Pools hiking trails are some of the most scenic within the park, leading visitors past magnificent waterfalls and shimmering pools. Along the trails visitors will enjoy breathtaking views of the Red Arch Mountain and Cliffs, Great White Throne, and Lady Mountain. For visitors who would like to extend their stay in this natural paradise, Zion National Park offers three idyllic campgrounds. Arches National Park is a U.S. National Park that is situated just north of the city of Moab, Utah. The shimmering Colorado River runs along the south and southeast portion of the park. The park features over 2,000 sandstone arches that have been formed naturally over the years by the surrounding elements. In addition to the arches, the park has hundreds of massive fins, giant balanced rocks, and soaring pinnacles. The park’s red-rock wonderland continues to impress the droves of visitors it receives each year with its marvelous formations, picturesque trails, and breathtaking sunsets. 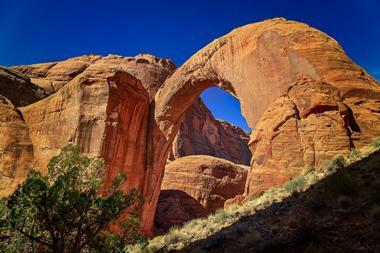 Some of the park’s more famous arches include the Delicate Arch, Double Arch, and Landscape Arch. 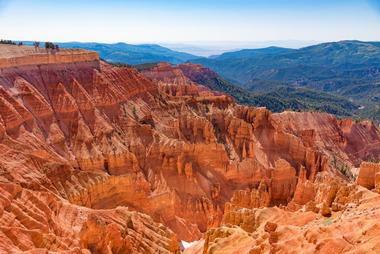 Each year, over two million tourists head to Bryce Canyon National Park to experience its otherworldly magic. This sprawling reserve is located in southern Utah, near the city of Bryce, and is best known for its crimson-colored hoodoos – spire-shaped rock formations. As visitors enter the park, the road will take them past the marvelous Bryce Amphitheater, a hoodoo-filled canyon that lies just below the Rim Trail – a popular hiking path. 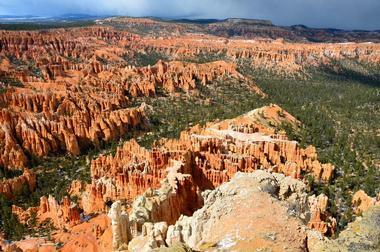 Some of the park’s top viewpoints include Sunrise Point, Sunset Point, Inspiration Point, and Bryce Point. Visitors can deepen their understanding of this magnificent park by attending ranger programs; they’ll enjoy rim walks, geology talks, night sky viewing, and full-moon hikes. There are four National Historic Trails that pass through the state of Utah, these routes have all been recognized for their national historic significance. 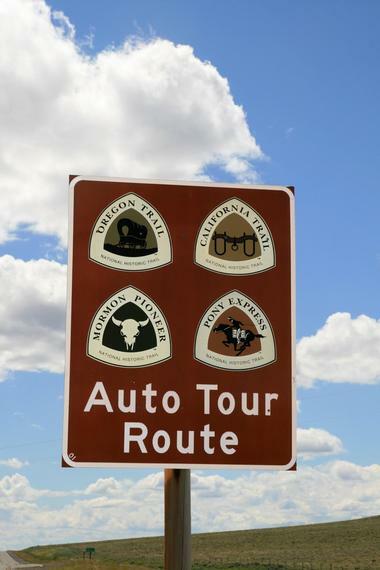 The California National Historic Trail is approximately 5,600 miles in length and stretches through portions of 10 different states that include Wyoming, Oregon, Nevada, New Mexico, Missouri, Kansas, Idaho, Colorado, California, and Utah. Visitors exploring Utah’s section of trail will have the opportunity to retrace the footsteps of more than 250,000 emigrants that traveled through the state’s rugged terrain during the mid-1800s. They’ll also have the opportunity to check out some of the historic landmarks along Utah’s portion of trail that include the Fort Douglas Military Museum, the Donner-Reed Museum, and Little Mountain Summit. Known for its expansive and dramatic desert landscape, Canyonlands National Park can be found in southeast Utah, about 10 miles southwest of the city of Moab. The park is divided into three separate districts, the natural divide is caused by the flow of the Colorado and Green Rivers. Visitors will find the Island in the Sky district located in the north section of the park, while the Maze district can be found in the west section, and the Needles district in the southeast corner. Visitors will enjoy breathtaking views of towering rock pinnacles, chopped buttes, and surrounding mountain ranges. During hikes throughout the park, visitors may spot carved petroglyphs, sandstone staircases, and Native American rock paintings. 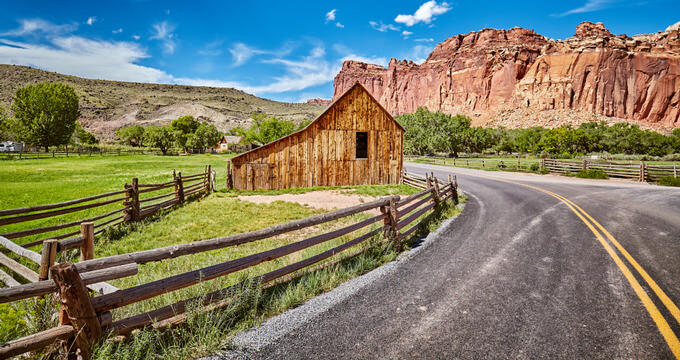 Situated in south-central Utah’s red-rock country, Capitol Reef National Park is a marvelous hidden treasure loaded with domes, canyons, cliffs, and bridges. The park is also home to a geological wrinkle in the earth that extends nearly 100 miles in length called the Waterpocket Fold. The most scenic part of the Waterpocket Fold is Capitol Reef, this section features massive white domes made of Navajo sandstone, as well as craggy barrier reefs, or cliffs. The park offers the perfect setting for some backcountry hiking, visitors will traverse slot canyons and narrow, twisting gorges as they explore Capitol Reef. High atop the monocline fold, visitors will enjoy breathtaking panoramic views over Utah’s rugged and beautiful terrain. Cedar Breaks National Monument is a United States National Monument located in the state of Utah, just a short drive from Cedar City. Situated at an elevation of more than 10,000 feet, Cedar Breaks overlooks an enormous geologic amphitheater that measures approximately half a mile in depth. Visitors will experience a sub-alpine environment that features colorful hoodoos, towering bristlecone pines, and lush wildflower meadows. During the warmer months Cedar Breaks is perfect for camping, hiking, and mountain biking. When winter rolls around, visitors can enjoy snowmobiling, cross country skiing, and snowshoeing. With little to no light pollution, the monument provides an idyllic setting for star gazing. Dinosaur National Monument is a U.S. National Monument situated in the southeast portion of the Uinta Mountains, near Jensen, Utah. The Green and Yampa rivers intersect with one another at Dinosaur, offering multiple locations within the park for visitors to enjoy water activities, such as whitewater-rafting. One of the most intriguing aspects about visiting this monument are the fossilized dinosaur bones that are visibly embedded in the rock to this day. The monument features over 1,500 fossils exposed on a cliff face inside of the Quarry Exhibit Hall. 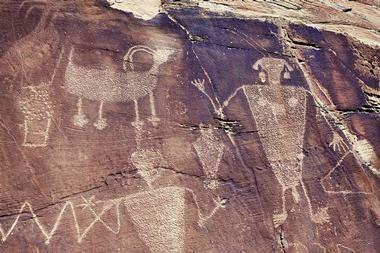 Dinosaur has several amazing hiking trails to explore; during hikes visitors may come across ancient petroglyphs. The trails are a perfect way to appreciate Dinosaur’s rugged landscape and breathtaking scenery. 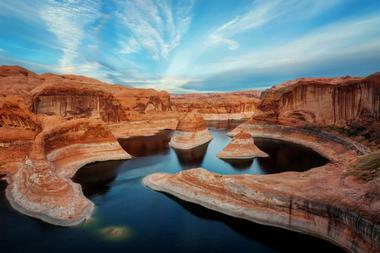 Glen Canyon National Recreation Area is a conservation and recreation area that is part of the U.S. National Park Service, located in Lake Powell, Utah. This recreation area encompasses over 1.25 million acres of mostly rugged desert terrain. The Colorado River and its tributaries, including the San Juan, Escalante, Paria, and Dirty Devil rivers, wind through the Colorado Plateau, forming a dynamic landscape of complex water and desert environments. The vast and diverse landscapes of Glen Canyon National Recreation Area provide unparalleled opportunities for a variety of water-and-land-based recreational activities. Some of those activities include mountain-biking, hiking, camping, fishing, kayaking, whitewater-rafting, climbing, and boating. Golden Spike National Historic Site is a United States National Historic Site that is located at north-central Utah’s Promontory Summit. This historic site is situated just north of the Great Salt Lake. Visitors will have the opportunity to learn all about the settings and people that helped complete the first Transcontinental Railroad. Golden Spike also provides daily demonstrations of replicated steam locomotives from the start of May through mid-October. The two steam locomotives they use for the demonstrations are the No. 119 and Jupiter. With its storied history dating all the way back to 1869, the tours and re-enactments, and breathtaking scenery, visitors are sure to enjoy a memorable time. Once the home of more than 2,500 people, Hovenweep National Monument features 6 prehistoric villages that were built between the years of A.D. 1200 and 1300. 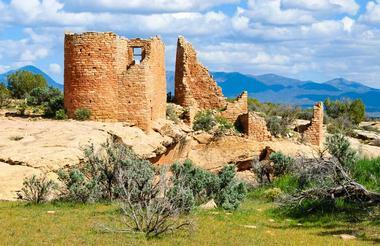 The Puebloan-era villages are spread over a distance of approximately 20 miles; they’re situated near a number of canyons and mesa tops along the Colorado-Utah border. Visitors will be in awe when they see how this group of sedentary farmers were able to build these marvelous structures in such precarious locations, like balanced on boulders or built along canyon rims. 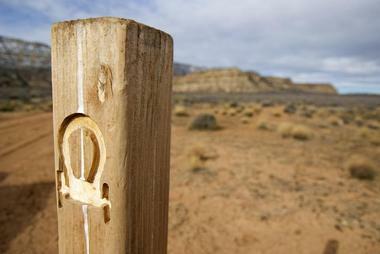 The best way for visitors to explore and experience this national monument is through its well-marked trail system. Part of the U.S. National Park Service, Mormon Pioneer National Historic Trail is a 1,300-mile route that was traveled by Mormons who were fleeing Nauvoo, Illinois, for the Great Salt Lake Valley in Utah. 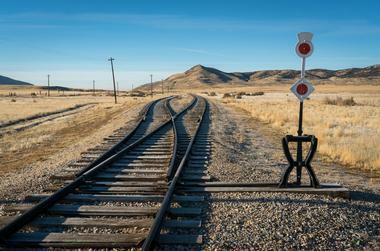 The trail spans across 5 different states that include Illinois, Iowa, Nebraska, Wyoming, and Utah. 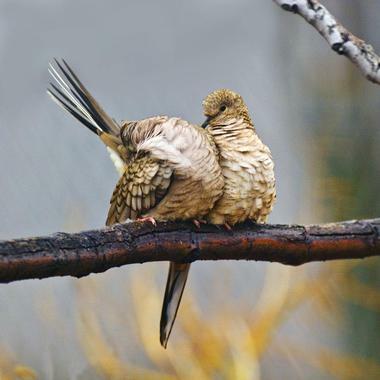 There are several points of interest along the trail for visitors to explore; the most popular Utah site is ‘This is the Place Heritage Park’ in Salt Lake City. Nowadays the trail can be used for outdoor recreation such as hiking, mountain-biking, cross-country skiing, snowmobiling, and snowshoeing. The trail offers several viewpoints where visitors can enjoy breathtaking panoramic views of the area’s surroundings. Natural Bridges National Monument is a United States National Monument that is situated approximately 50 miles from the Four Corners boundary. The monument features three marvelous natural bridges that will have visitors pondering the incredible powers of water, especially in a region that is typically characterized by its absence. To honor the Native Americans who once made this land their home, the bridges have been named “Sipapu,” “Owachomo,” and “Kachina,” respectively. There are several picturesque hiking trails throughout the park for visitors to explore. The primitive trails wind through canyons and over mesa tops, offering sweeping vistas of the park’s surroundings. Old Spanish National Historic Trail is an old trading route that extends from Santa Fe, New Mexico, to Los Angeles, California. This historic trail spans across six different states that include New Mexico, Colorado, Utah, Arizona, Nevada, and California. The trail is a combination of mule and horse routes, early exploration and trade routes, and indigenous footpaths that created a trail network known as the “Old Spanish Trail.” The portion of trail that runs through Utah offers incredible opportunities for outdoor recreation, such as mountain biking, hiking, horseback riding, camping, snowshoeing, snowmobiling, and cross-country skiing. 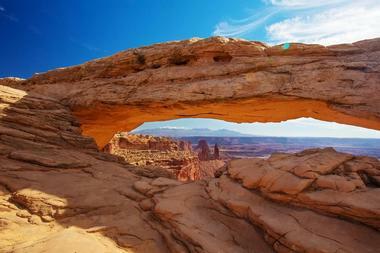 Along the trail visitors will enjoy breathtaking views of Utah’s rugged and stunning backcountry. Pony Express National Historic Trail is a historic route that was used to carry the nation’s mail via horseback from Missouri to California between the years of 1860 and 1861. Before the telegraph, the Pony Express was the most practical and direct method of delivering communications from east to west and vice versa, across the United States. The trail extends through eight different states that include Missouri, Kansas, Nebraska, Wyoming, Colorado, Utah, Nevada, and California. The riders would make this incredible journey across the country in an unprecedented time of just 10 days. 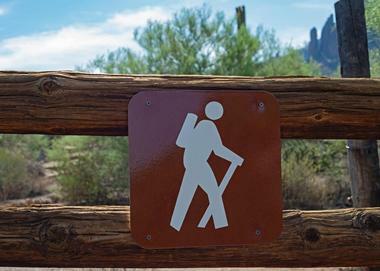 The portion of trail that extends through Utah is now used for outdoor recreational activities, such as hiking, mountain biking, and camping. Administered by Glen Canyon National Recreation Area, Rainbow Bridge National Monument is a U.S. National Monument that is located in southern Utah, near Lake Powell. One of the world’s highest and largest natural bridges, Rainbow Bridge draws in approximately 85,000 visitors each year from all over the world. The monument can be reached via two separate hiking trails; the trailheads are located near Navajo Mountain, and also situated on Navajo Tribal Lands. Because of the rugged canyon terrain and unpredictable elements, the trails are recommended for moderate to experienced hikers only. During the hike to the monument, visitors will see a magnificent array of desert plants and unique rock formations. At Timpanogos Cave National Monument, visitors will have the opportunity to hike past stunning vistas before exploring a unique and hidden underground world. This United States National Monument is located just south of Utah State Route 92, in the city of American Fork. 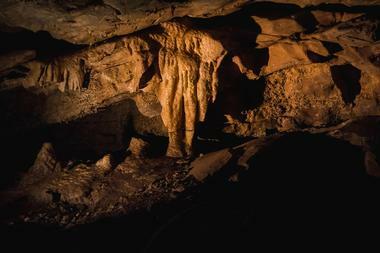 Visitors will experience the excitement of caving as they bend and twist their way into beautifully decorated rooms. The Timpanogos Caves can only be accessed via guided tours that are led by experienced and informative park rangers. Visitors can enjoy tours of the caves throughout most of the summer season. One of the more popular experiences offered at the park is the Introduction to Caving Tour – an excellent way for visitors to learn all about caving.